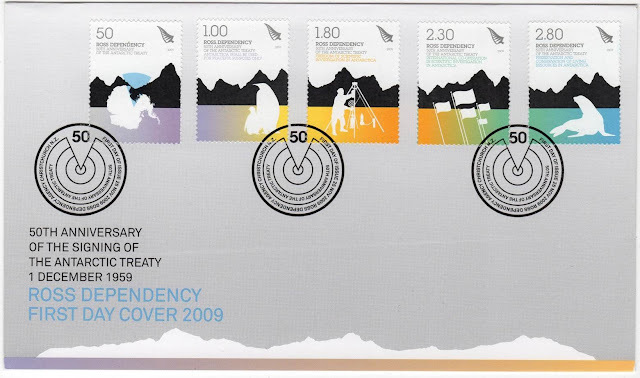 The Antarctic Treaty and related agreements, collectively known as the Antarctic Treaty System (ATS), regulate international relations with respect to Antarctica, Earth's only continent without a native human population. For the purposes of the treaty system, Antarctica is defined as all of the land and ice shelves south of 60°S latitude. The treaty, entering into force in 1961 and having 53 parties as of 2016, sets aside Antarctica as a scientific preserve, establishes freedom of scientific investigation and bans military activity on that continent. The treaty was the first arms control agreement established during the Cold War. The Antarctic Treaty Secretariat headquarters have been located in Buenos Aires, Argentina, since September 2004. The main treaty was opened for signature on December 1, 1959, and officially entered into force on June 23, 1961. 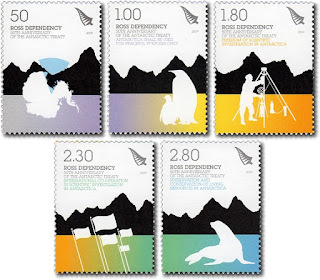 The original signatories were the 12 countries active in Antarctica during the International Geophysical Year (IGY) of 1957–58. The twelve countries that had significant interests in Antarctica at the time were: Argentina, Australia, Belgium, Chile, France, Japan, New Zealand, Norway, South Africa, the Soviet Union, the United Kingdom and the United States. These countries had established over 50 Antarctic stations for the IGY. The treaty was a diplomatic expression of the operational and scientific cooperation that had been achieved "on the ice". 50c - 50th Anniversary of the Antarctic Treaty. 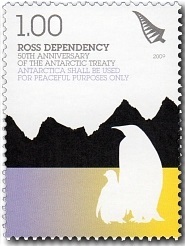 $1.00 - Antarctica Shall be Used for Peaceful Purposes Only. 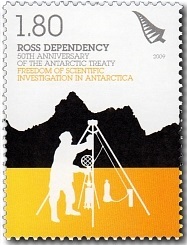 $1.80 - Freedom of Scientific Investigation in Antarctica. 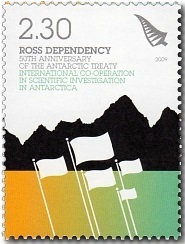 $2.30 - International Co-operation in Scientific Investigation in Antarctica. 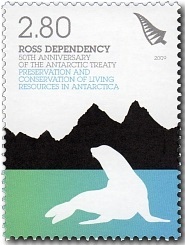 $2.80 - Preservation and Conservation of Living Resources in Antarctica. 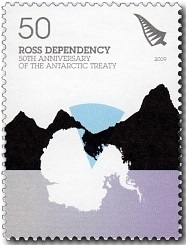 NZ Post has removed some Ross Dependency issues from their website so for the years 2007 through 2010 there will be no technical information and details concerning the scenes that are shown on each stamp, will be gained from other sources. 1994 $20 Mount Cook Definitive. 2017 The Great Kiwi Road Trip.